I’m lucky enough to plan several elopements each year, and it’s a part of my job that I LOVE. I say it a lot, but for me there is something very special about a couple escaping together, just the two of them, to declare their love to one another in their own little bubble. There’s often a number of reasons why a couple decide that an elopement is right for them, but whatever the reasoning I find it a true honour to be involved in such an intimate journey. For many people, an elopement wouldn’t have even crossed their mind, so here’s my thoughts on why you should at least consider it…. We are all guilty of living life at a crazy pace. Monday - Friday is often filled with working long hours, and then come the weekend our social diaries are full. Always on the go, planning one thing or another and fitting in everyone else. This is also true when planning a wedding, it can be easy to get carried away, become lost in Pinterest, exceed your initial budget and generally loose some of the perspective you had at the beginning. How often do we actually stop to just focus on us and our relationship? An elopement is the perfect opportunity to do just that. To take time out just the two of you and focus on each other and what you want. Elopement brides tend to have an amazing dress. Of course, they still want to feel gorgeous and be the bride, but they don’t always stick to tradition and often add a pop of colour. 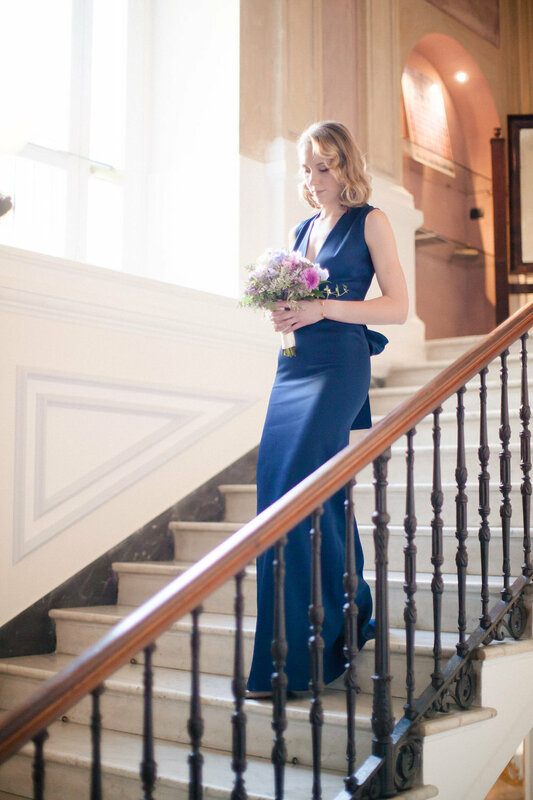 Saving money by having a smaller wedding means you can go all out on your outfit, whether it’s a designer gown or fabulous pair of shoes the options are endless! Naturally, when planning a large wedding we try and please other people. Will everyone like the music? Should we consider different food options to suit everyone? How do we arrange the table plan so we don’t offend anyone? If you’re not careful, your wedding can become about everyone else and not about the two of you. Of course if you choose to have an elopement, then there can be the hurdle that explaining to your love ones why you want to go away without them, but once you’re over that little difficulty the rest is all about YOU. You can do exactly what the two of you want to do, without a second thought. Ignoring all the romance, and being purely practical, elopements are a great cost saver. Life is expensive and unfortunately many couples are having to choose…do they buy a house, or do they get married? Big weddings when done properly are costly, there is no getting away from it. By comparison, an elopement can be the equivalent expense as a holiday making it much more manageable. The most important reason of all…elopements are stripped back. They are real, authentic and for all the right reasons. I’m a wedding planner, so it goes without saying that I love the details, the flowers, the music and the food but when it comes down to it that’s not what matters. Quite simply, what matters is two people in love and that’s what an elopement is all about.